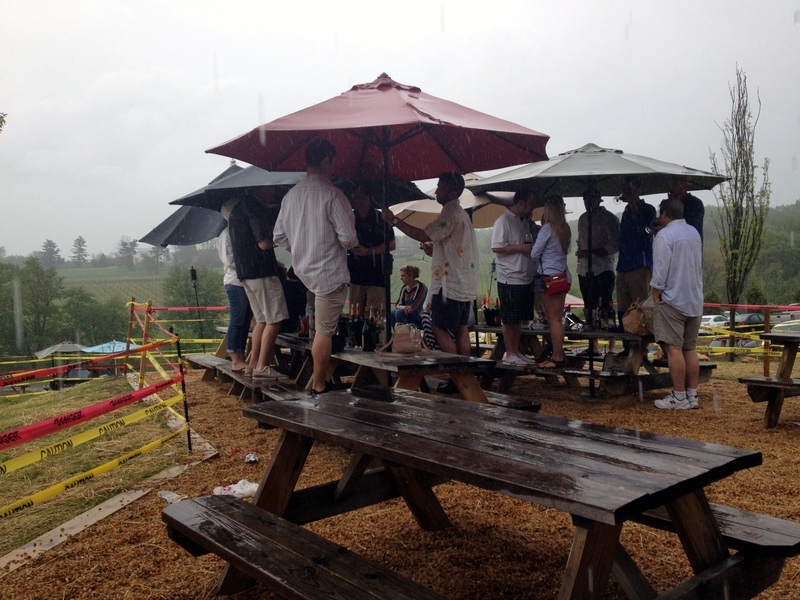 Barrel Oak Winery in Delaplane, Va., was hopping this past weekend, despite intermittent downpours on Saturday. Furry faces of both the two- and four-legged variety were very creative with how they took shelter! Bear was a great umbrella guard dog. 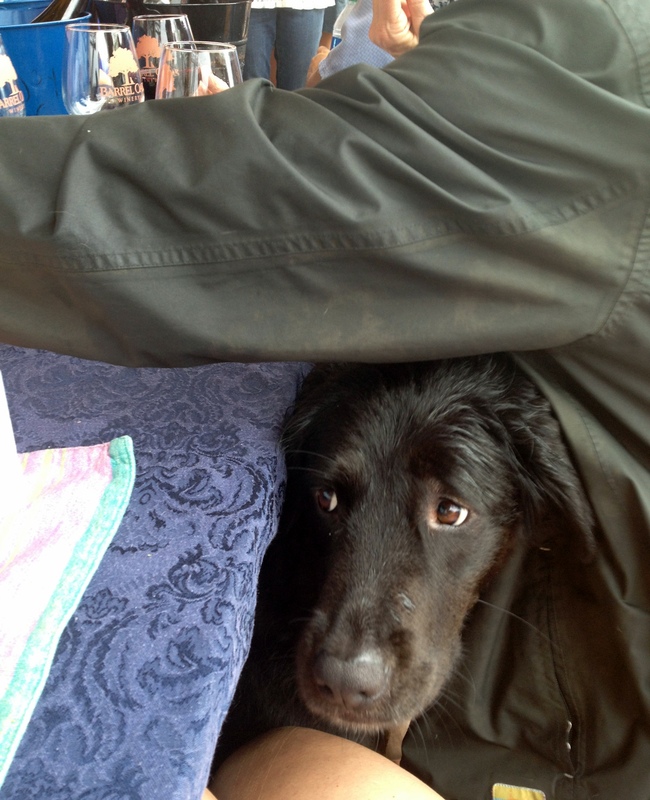 Under the picnic table was Chatham’s refuge of choice. This merry group of gentlemen went to high ground. 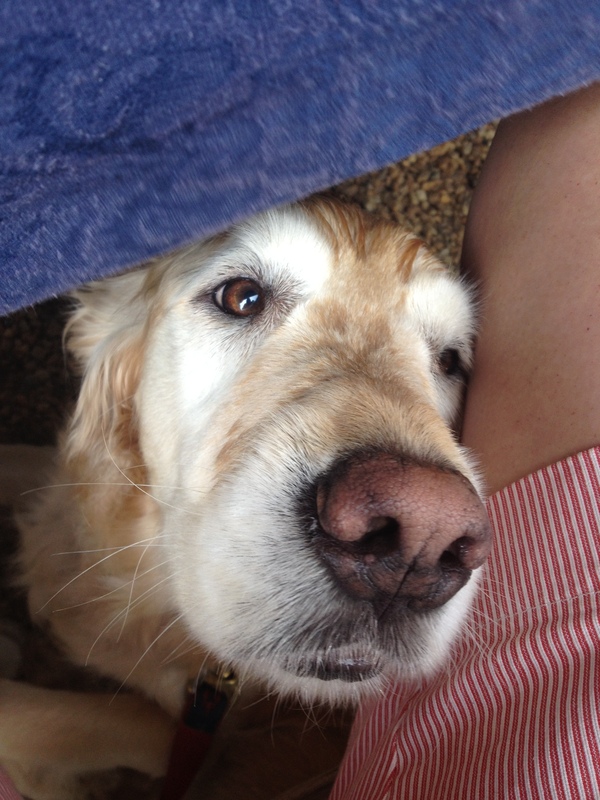 Sundae hoped a cracker crumb or two might leap off the table. 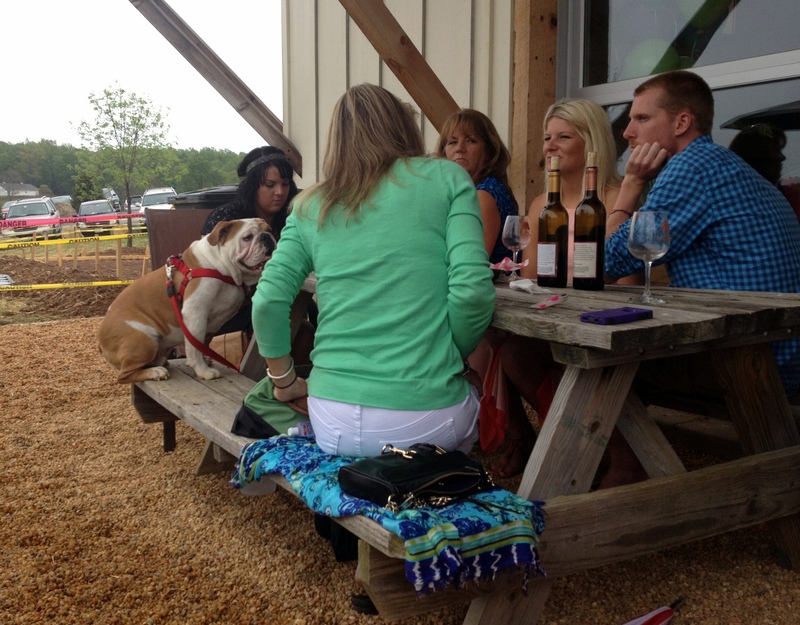 And this English Bulldog just joined his humans right on the picnic bench. 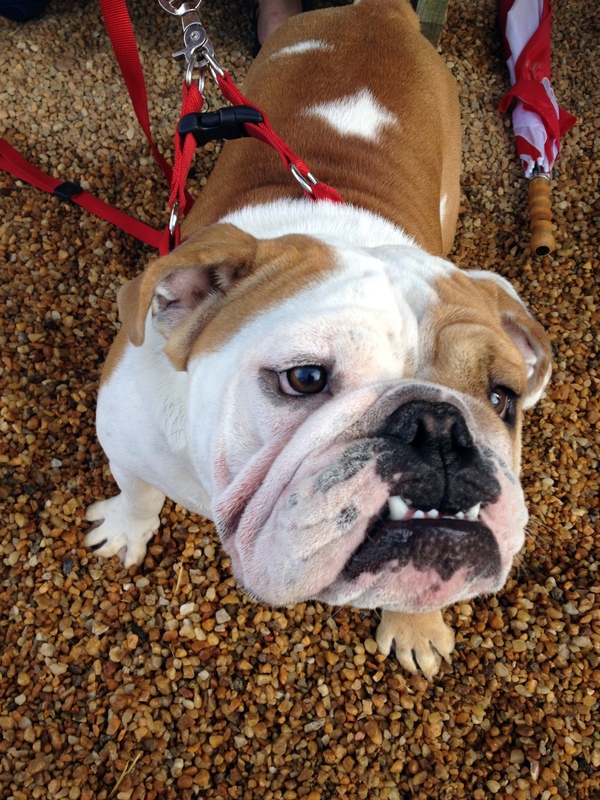 Who could resist that face, anyway? 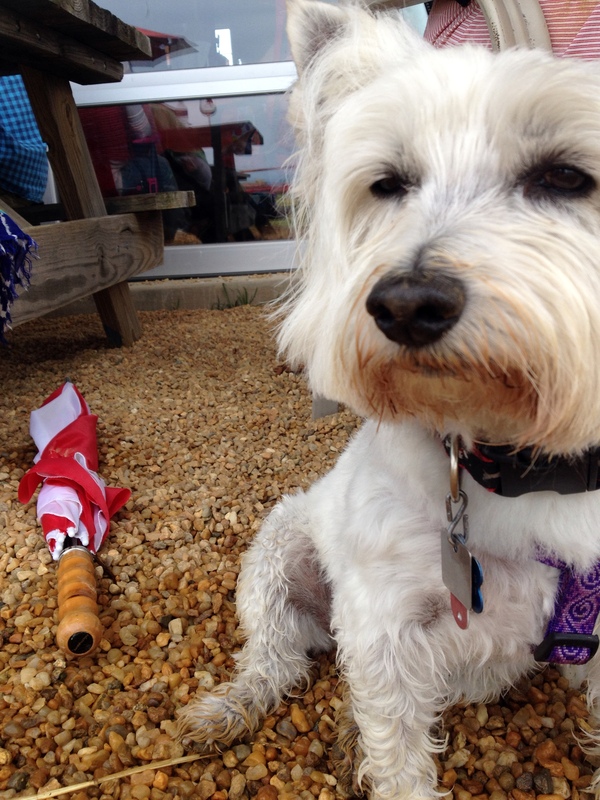 « Check out Two Dog Tales in the Washington Post!